Life is crazy, but so incredibly beautiful. Let's slow down together and see and feel all the beautiful moments of your family. Ready to do this and make a plan? Fill out my contact form here, let me know all the details you got, and I'll get back to you within 24 hours. Keep in mind that my weekend dates fill up between 1-2 months in advance in the spring and summer, and 2-3 months in advance for the fall. But it can't hurt to get in touch, and if I'm booked for the time you're looking for I can recommend several other wonderful photographers to check with. Let's get you booked and in my calendar before your due date, and then once the baby is born we will schedule the exact date and time for your session. I schedule newborn sessions anytime between 2 weeks to 8 weeks old. Babies around 2 weeks can be very sleepy setting us up nicely for more sleeping baby photos. Babies 3 + weeks are still super little and new but are more awake and we will get more amazing moments with open bright eyes and eye contact with parents. Newborn sessions are scheduled for during the week, or a weekend time depending on availability. I don't bring or use props and use only swaddles and blankets you have at home. I focus more on the naturally occurring and sweet moments of this brief and amazing time. Anywhere! We can stay home where it's comfortable and yours, or take a walk in your neighborhood. Or we can go on the adventurous side and explore a new place or neighborhood. We can even fit in a half indoor half outdoor session! For newborn sessions, we will be in the comfort of your home. WILL YOU TRAVEL TO THE SESSION? Yes! I will come to you for your session. I work as a local (meaning no travel fees) in Manhattan, Brooklyn, and Queens, as well as western MA and CT in Berkshire county, Columbia and Dutchess county in NY state, and the coastal towns of Maine around Portland in the summer time. I'm also happy to travel anywhere in the world for your session with travel and accommodation fees added in to the cost. I always post where I'll be on my Instagram, so keep you're eye out there if you want to know where I'll be next! How do I go about booking a mini session? I host mini sessions a few times a year, mostly in the spring and fall. Sign up is announced via my email newsletter about a month before the the mini session date. It's first come first serve as these mini sessions are popular! If you're interested in a mini session, make sure you get on my email list here so that you're one of the first to know all the mini session details! WHAT'S YOUR STYLE AND APPROACH? Relaxed and real. I'm looking to capture the feeling of a moment rather than getting a perfectly posed and forced photo. Every family and every kid is different, so every session will be unique in their own way. I do have a few tricks up my sleeve to get you guys to relax in front of the camera, and will direct a little to help set the scene. I also love stepping back and watching a family be together in their own unique way and catching the little things that you do together. My goal is to capture the heart and soul of your family, which will then lead to beautiful family portraits as well as telling the story of your family through the little in-between moments. Well for starters you don't have to do a darn thing if you don't want to! Remember my main goal here is to capture your family just the way you are in real life. Not the perfect Instagram life that apparently "everyone" else has - but no one actually has. Well maybe some people do, but I don't really know them. That being said, here's my prep sheet for family sessions, and here's one for newborn sessions. I will also send you these links a few days before our session just incase you're having a last minute freak out. But for real, no stress. Having no expectations, slowing down, and being present is the way to go. Me too! That's why I'm behind the camera ;) Just kidding. But for real, we all get a little weird and awkward in front of the camera. My only and BEST tip is to focus on your kids and what's fun for them. They are literally the best at pulling grown-ups out of their heads and into the moment. Allow them (and then do what they are doing!) to explore, ask questions, laugh, and be goofy, and that will make you smile those real smiles too. 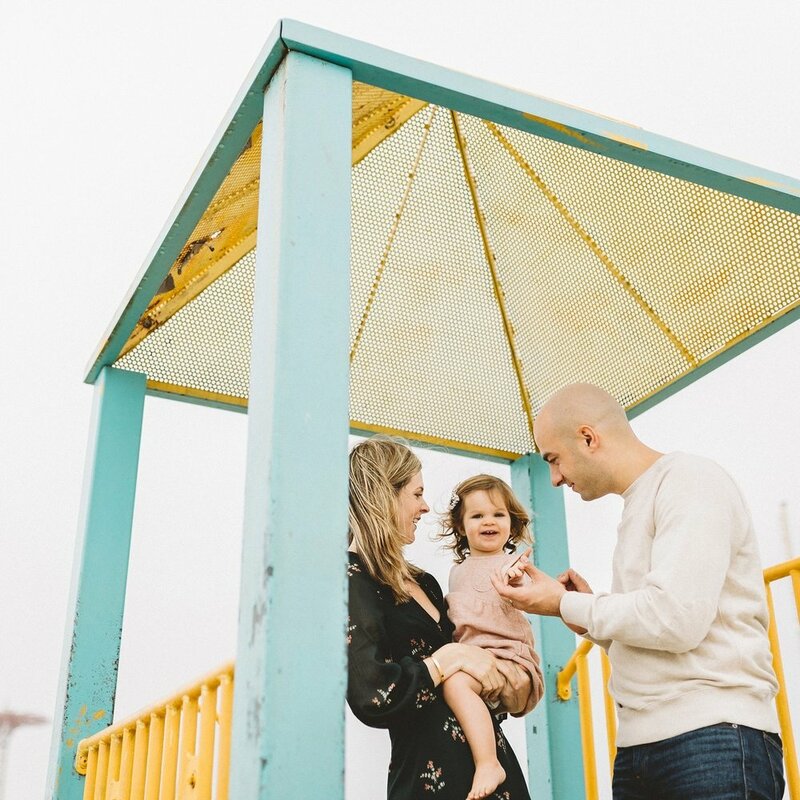 I will help you all out by directing a little, but I also like to step back and observe your family magic :) Be ready to have this photo shoot be a time for you to focus 100% of your attention on your kids, and the reward will be real, honest, and happy photos! HOW LONG WILL THE PHOTO SESSION BE? A family session can last anywhere from 1-2 hours. We wont rush, but kids get tired after a while, so I like to keep it flexible and plan around the needs of the children. Newborn sessions are similar in time frame, but I'm happy to be there for up to 3 hours, allowing for extra time for breaks, feeding, and changing. Mini sessions are 20 minutes long. WHAT IF IT Rains ON THE DAY WE ARE SCHEDULED FOR OUR SESSION? OR I NEED TO CANCEL? I keep my eyes on the weather and we will stay in touch until the last minute. Many times the rain will let up and we can shift our time up or back a couple hours to work around the weather. It can be pretty obvious when it will just be a very rainy day, and when that happens we will reschedule the session to another day. When you book I require a non-refundable retainer and session payment which I will hold and apply to the rescheduled date. Unfortunately I cannot refund this if you needed to cancel the session. My turn around time for editing is between 3-4 weeks after our session. I will send you a link to your gallery of final photos. I don't offer sneak peeks, but if you need to see your final photos sooner I offer expedited editing for $300 and the photos will be delivered within 7 days of the session. The expedited editing service is not offered in October, November, and December. I guarantee 50 final images, though I've been known to throw in more ;) Know that all the good ones are there! They will be presented in an online photo gallery. For mini sessions there are about 25 final images. How is the payment schedule set? For the regular family session the total is $1200. A non-refundable retainer payment of $350 is due at the time of booking, and then remaining balance of $850 is due at or before the session date. For mini sessions, there is a non-refundable retainer payment of $150. Digital files and photo products are then purchases separately through your gallery once you have seen your photos. See mini session details here. Yes you can! After selecting your collection, the print shop in your gallery will be open. Go here to see the full list of all the products I offer through the print shop. Once you have the digital files, you have personal printing rights to your photos so you're also welcome to order prints from a lab of your choice. I recommend steering clear from the drug store/big store print job as their quality will not stand the test of time. WILL THERE BE BLACK AND WHITE PHOTOS AS WELL AS COLOR? Yes. I edit for what is best for the photo and will deliver both color and black and white photos. If you have a preference for one or the other, let me know during the session. what if I'm not happy with the photos? Well if you're not happy, then neither am I! And I will work with you to sort it out so that we are all happy!